Zynga Inc (ZNGA): Place Your Bets? When Zynga Inc (NASDAQ:ZNGA) first came out, it came out with many strong game titles, including Farmville, Cityville, Mafia Wars, and Words with Friends. The company priced its initial public offering at $10 per share — at that time, the biggest tech IPO offering since Groupon. 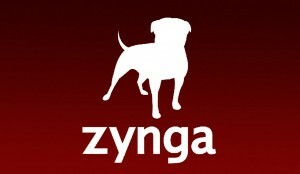 Zynga Inc (NASDAQ:ZNGA) included 100 million shares at $10 per share, bringing its valuation to $1 billion. Zynga Inc (NASDAQ:ZNGA) had a great pop on its IPO, but over the last few years it has dropped significantly for many reasons. The company now trades at $3.45 per share, but it seems to be holding well at that level. Over the last few years Zynga Inc (NASDAQ:ZNGA) has been struggling to make revenue. In 2012 the downtrend continued, and the company reported losses throughout most of 2012. In an effort to change things at the company, CEO Mark Pinkus laid out a plan to reduce costs. The plan was to layoff at least 100 employees throughout the different game studios, and shut down 11 game titles. Some titles were pretty strong, and yet they were still shut down anyways.These games were: PetVille, Mafia Wars 2, Fishville, Vampire Wars, Treasure Isle, and Indiana Jones Adventure World. Zynga Inc (NASDAQ:ZNGA) grew well on its end users, because it is part of the most played gaming platform on Facebook Inc (NASDAQ:FB). Despite this phenomenon, Zynga has other plans. It wants to separate its ties with Facebook Inc (NASDAQ:FB) completely so that it is not dependent on Facebook for future revenue. In my opinion this will be a wise move by the CEO for shareholders. Zynga Inc (NASDAQ:ZNGA) should relaunch itself so that it is not reliant on Facebook Inc (NASDAQ:FB) for revenue. Facebook has a good relationship with Zynga, since Facebook is receiving 15% of Zynga’s profit. In my opinion Zynga should have left Facebook many years ago. Since it is tied to Facebook, Zynga had lost its opportunity to be its own stand alone platform. It was unable to set a fanbase of its own, and thus creating the problem the company endured over the last few years. One of the executives stated that the good part about starting to move away from Facebook, is that players will no longer be required to use their real names to log in. I think this current problem turns off many players as they don’t want their real names shown online. So now Zynga offers a way for its users to create their own unique name, that allows them to be able to log into the game network.